We can deliver plants to you, generally using a large van so that the plants are protected during transit. We charge around $1.00 per mile, roundtrip, for the vehicle and one man. In addition, we can install the plant material for you. Charges for installation will depend on the time involved. Typically, a 10-gal. 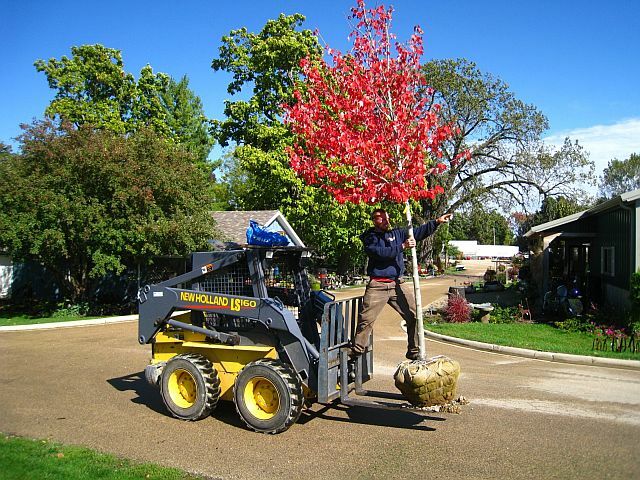 tree can be installed for $60 plus $5.00 for a bag of mulch, and we will provide the organic fertilizer to get your plants off to a good start.